18-8 Stainless: Made from one of the following austenitic alloys: 303, 303Se, 304, or XM7, all of which are characterized as having chromium content of 17-19% and nickel content of 8-10%. 18-8 stainless is used in products that require general atmospheric corrosion resistance. 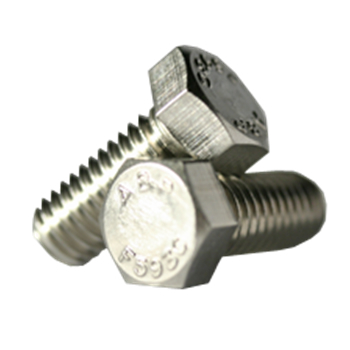 316 Stainless: 316 or A4 stainless hex cap screws are made from an austenitic alloy which differs from 18-8 by its molybdenum content (2-3%) and a higher nickel content (10-14%). This molybdenum content gives 316 stainless even greater corrosion resistance than 18-8, as well as superior strength at high temperatures.